Area: 270,500 sq. km. ; about the size of Colorado. Cities (June 2009): Capital — Wellington (386,000). Other cities — Auckland (1,333,300), Christchurch (386,100), Hamilton (200,300). Terrain: Highly varied, from snowcapped mountains to lowland plains. Nationality: Noun: New Zealander(s). Adjective — New Zealand. Annual population growth rate (during year ending June 2010): 1.3%. Religions: Christian 55.6%, no religion 34.7%, Hindu 1.5%, Buddhist 1.3%, Islam/Muslim 0.8%, Jewish 0.2%, Spiritualism/New Age 0.5%, other 0.6%. Languages: English, Maori, New Zealand Sign Language. Education: Years compulsory: ages 6-16. Attendance — 100%. Literacy — 99%. Health: Infant mortality rate (December 2006) — 5.1/1,000. Life expectancy (December 2006) — males 78.4 yrs., females 82.4 yrs. Work force: As of March 2010, total labor force was 2.23 million and labor force participation rate was 68.1%. Services and government — 59%; manufacturing and construction — 32%; agriculture, forestry, fisheries, and mining — 8.9%. Constitution: No formal, written constitution. Independence: Declared a dominion in 1907. Branches: Executive: Queen Elizabeth II (head of state, represented by a governor general), prime minister (head of government), cabinet. Legislative — unicameral House of Representatives, commonly called parliament. Judicial — four-level system: District Courts, High Courts, the Court of Appeal, and the Supreme Court, which in 2004 replaced the Judicial Committee of the Privy Council in London as New Zealand's highest court of appeal. There also are specialized courts, such as employment court, family courts, youth courts, and the Maori Land Court. Administrative subdivisions: There are 16 regions of New Zealand, eleven of which are governed by a directly elected regional council, In the next tier there are 67 territorial authorities: 13 city councils, 53 district councils, and the Chatham Islands Council. Six territorial authorities (Auckland Council, Nelson City Council, Gisborne, Tasman, and Marlborough District Councils and the Chatham Islands Council) also perform the functions of a regional council The Auckland Council is the largest council in Australasia. It began operating on November 1 2010 and combines the functions of the existing regional council and the region's seven previous city and district councils into one "super council" or "super city" governed by a mayor, 20 members of the governing body and 148 members of 21 local boards. There also are a number of community boards and special-purpose bodies with partially elected, partially appointed memberships. GDP (as of statistical year ended December 2010): U.S. $139 billion (NZ $182 billion). Real annual GDP growth rate: (as of the statistical year ending December 2010): 0.73%. Per capita income (December 2010): U.S. $27,500. Exchange rate (average for January to December 2010): U.S. $1 = NZ $1.38 (U.S. $0.72 = NZ $1). Agriculture (4.9% of GDP): Products: dairy products, meat, forestry products. Industry (goods-producing industries 20.5% of GDP, service industries 68.8% of GDP): Types — finance, insurance, and business services; manufacturing; personal and community services; transport and communication; wholesale trade; construction; government administration and defense; fishing, forestry, and mining; electricity, gas, and water. Trade (year end December 2010): Exports to U.S. — U.S. $2.86 billion: meat, dairy, wine, wood and medical devices. Imports from U.S. — U.S. $3.34 billion: consisting primarily of machinery (including information and communication technologies equipment), aircraft, medical and veterinary instruments, motor vehicles (trucks), and plastic resins. Major trading partners (rank ordered as of June 2011) — Australia, People's Republic of China, United States, Japan, Republic of Korea, and the United Kingdom . Most of the 4 million New Zealanders are of British origin. About 15% claim descent from the indigenous Maori population, which is of Polynesian origin. Nearly 76% of the people, including a large majority of Maori, live on the North Island. In addition, 265,974 Pacific peoples live in New Zealand. During the late 1870s, natural increase permanently replaced immigration as the chief contributor to population growth and accounted for more than 75% of population growth in the 20th century. Nearly 85% of New Zealand's population lives in urban areas (with almost one-third in Auckland alone), where the service and manufacturing industries are growing rapidly. New Zealanders colloquially refer to themselves as "Kiwis," after the country's native bird. Archaeological evidence indicates that New Zealand was populated by fishing and hunting people of East Polynesian ancestry perhaps 1,000 years before Europeans arrived. Known to some scholars as the Moa-hunters, they may have merged with later waves of Polynesians who, according to Maori tradition, arrived between 952 and 1150. Some of the Maori called their new homeland "Aotearoa," usually translated as "land of the long white cloud." Constitutional government began to develop in the 1850s. In 1867, the Maori won the right to a certain number of reserved seats in parliament. During this period, the livestock industry began to expand, and the foundations of New Zealand's modern economy took shape. By the end of the 19th century, improved transportation facilities made possible a great overseas trade in wool, meat, and dairy products. The Maori gradually recovered from population decline and, through interaction and intermarriage with settlers and missionaries, adopted much of European culture. In recent decades, Maori have become increasingly urbanized and have become more politically active and culturally assertive. New Zealand has a parliamentary system of government closely patterned on that of the United Kingdom and is a fully independent member of the Commonwealth. It has no written constitution. Executive authority is vested in a cabinet led by the prime minister, who is the leader of the political party or coalition of parties holding the majority of seats in parliament. All cabinet ministers must be members of parliament and are collectively responsible to it. The unicameral parliament (House of Representatives) usually has 120 seats, seven of which currently are reserved for Maori elected on a separate Maori roll. However, Maori also may run for, and have been elected to, non-reserved seats. Parliaments are elected for a maximum term of 3 years, although elections can be called sooner. The judiciary consists of the Supreme Court, Court of Appeal, High Courts, and District Courts. New Zealand law has three principal sources — English common law, certain statutes of the U.K. Parliament enacted before 1947, and statutes of the New Zealand parliament. In interpreting common law, the courts have been concerned with preserving uniformity with common law as interpreted in the United Kingdom. Local government in New Zealand has only the powers conferred upon it by parliament. The country's 12 regional councils are directly elected, set their own tax rates, and have a chairperson elected by their members. Regional council responsibilities include environmental management, regional aspects of civil defense, and transportation planning. The 74 "territorial authorities" — 15 city councils, 58 district councils in rural areas, and one county council for the Chatham Islands — are directly elected, raise local taxes at rates they themselves set, and are headed by popularly elected mayors. The territorial authorities may delegate powers to local community boards. These boards, instituted at the behest either local citizens or territorial authorities, advocate community views but cannot levy taxes, appoint staff, or own property. New Zealand maintains an embassy (http://www.nzembassy.com/usa) in the United States at 37 Observatory Circle NW, Washington, DC 20008 (tel. 202-328-4800, fax 202-667-5227). 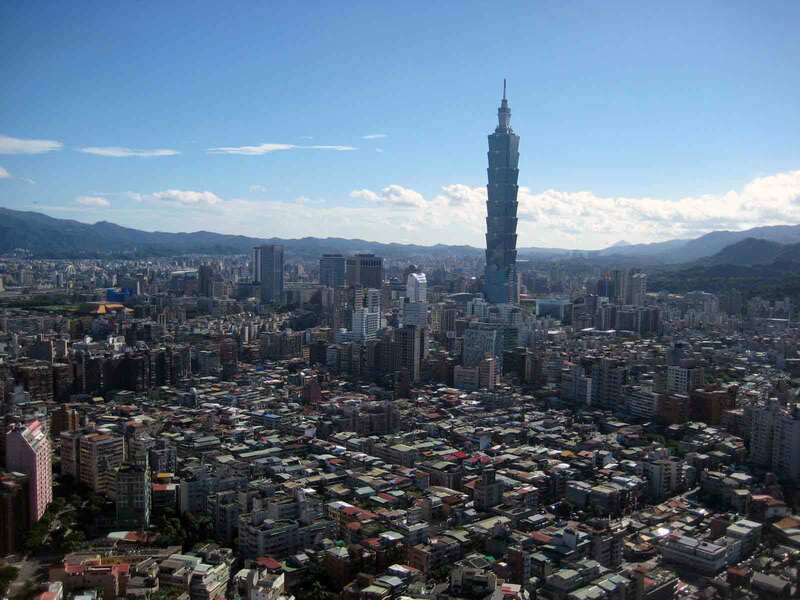 A consulate general is located in Los Angeles (tel. 310-207-1605, fax 310-207-3605). Tourism information is available through the New Zealand Tourism Board office in Santa Monica, California (toll-free tel. 800-388-5494) or through the following website: (http://www.tourismnewzealand.com/). The traditionally conservative National Party and left-leaning Labour Party have dominated New Zealand political life since a Labour government came to power in 1935. During its first 14 years in office, the Labour Party implemented a broad array of social and economic legislation, including comprehensive social security, a large-scale public works program, a 40-hour workweek, a minimum basic wage, and compulsory unionism. The National Party won control of the government in 1949 and adopted many welfare measures instituted by the Labour Party. Except for two brief periods of Labour governments in 1957-60 and 1972-75, National held power until 1984. After regaining control in 1984, the Labour government instituted a series of radical market-oriented reforms in response to New Zealand's mounting external debt. It also enacted anti-nuclear legislation that effectively brought about New Zealand's suspension from the ANZUS security alliance with the United States and Australia. In October 1990, the National Party again formed the government, for the first of three 3-year terms. In 1996, New Zealand inaugurated a mixed-member proportional (MMP) system to elect its parliament. The system was designed to increase representation of smaller parties in parliament and appears to have done so in the MMP elections to date. Since 1996, neither the National nor the Labour Party has had an absolute majority in parliament, and for all but one of those years, the government has been a minority one. The Labour Party won elections in November 1999 and again in July 2002. In 2002 Labour formed a coalition, minority government with the Progressive Coalition, a left-wing party holding two seats in parliament. The government relied on support from the centrist United Future Party to pass legislation. Following a narrow victory in the September 2005 general elections, Labour formed a coalition with the one-seat Progressive Party. The government also entered into limited support agreements with the United Future New Zealand and NZ First Parties, whose leaders were respectively given the Revenue and Foreign Affairs ministerial positions outside of the cabinet. This gave Labour an effective one-seat majority with which to pass legislation in parliament. Labour also secured an assurance from the Green Party that it would abstain from a vote of confidence against the government. The 2005 elections saw the new Maori Party win four out of the seven reserved Maori seats. The additional seat in the 121-member parliament was the result of an overhang from 2005 elections. There were two independent members of parliament (MPs): a former Labour Party MP and a former United Future New Zealand MP, both of whom left their respective parties in 2007. The 2008 general election on November 8 was comfortably won by the John Key-led National Party. National won 45% of the popular vote (58 seats) to Labour's 34% (43 seats). The Green Party won nine seats; ACT won five; the Maori Party picked up an additional Maori seat to bring its total number of seats to five; the Progressives and United Future won one seat each. New Zealand First, the party of former foreign minister Winston Peters, did not win enough votes to return to parliament. On November 16, Key announced the formation of a new National-led center-right government in coalition with the right-leaning ACT and the centrist United Future party. National also entered into a limited support agreement with the Maori Party. Collectively, this gave the government 69 votes to pass legislation in the new 122-member parliament, the two extra seats the results of an overhang from the election. The leaders of ACT and United Future were respectively given the local government and revenue ministerial portfolios. ACT's co-leader was given the consumer affairs ministerial portfolio. The co-leaders of the Maori Party were each given the Maori affairs and community ministerial portfolios, although their posts are outside of cabinet with the right to dissent on other policy issues outside portfolio areas. The government was sworn in on November 19, 2008, with Key becoming New Zealand's 38th prime minister. During her election night concession speech, outgoing Prime Minister Helen Clark announced that she would step down as Labour's leader after 15 years in charge. She was succeeded as party leader by Phil Goff. Clark resigned from parliament on April 8, 2009 to become the Administrator of the United Nations Development Program in New York. The 49th parliament commenced on December 8, 2008 and resumed session on February 8, 2011 after a customary summer recess. The Key-led government's main focus has been on economic growth as the New Zealand economy recovers from a period of recession and recovery from the devastating Christchurch earthquake of February 2011. Key has presided over a stable governing arrangement with his support parties and his ruling National Party goes into the next general election, to be held on November 26, 2011, with a comfortable lead over its nearest rival, the Goff-led Labour Party. New Zealand's economy historically has been based on a foundation of exports from its very efficient agricultural system. Leading agricultural exports include dairy products, meat, forest products, fruit and vegetables, fish, and wool. The country has substantial hydroelectric power and reserves of natural gas. Based on recent natural gas exploration between Australia and New Zealand, natural gas production is projected to increase by 3.5% by 2020. Leading manufacturing sectors are food processing, wood and paper products, and metal fabrication. Service industries, particularly financial, insurance, and business services, form a significant part of New Zealand's economy. As of July 2010, the number of broadband subscribers continued to grow, and exceeded 1.3 million. The number of broadband subscribers made up 72% of all Internet subscribers. After five consecutive quarters of economic retrenchment, the New Zealand economy grew by less than 0.1% over the June 2009 quarter, thereby ending its recession. Following another brief return to negative growth in September 2010 following the first Canterbury earthquake, and sluggish recovery further hampered by a second earthquake in February 2011, economic growth is forecast to remain weak for the next two years as households go through a period of debt consolidation and government spending is further cut. Economic activity has been increasing, with economic growth of 0.8% and an increase in GDP of 1.5% recorded in March 2011. New Zealand's AA+ foreign currency rating was put on negative outlook by Standard & Poor's in November 2010 as a result of increasing net foreign liabilities and household debt being an average 156% of disposable income. An export-led recovery is expected to lead to growth increasing to trend levels of around 2% in 2011, with partial sales of some state assets, reconstruction in Canterbury, and New Zealand's hosting of the Rugby World Cup in September 2011 expected to provide a much needed boost to the economy. New Zealand's unemployment rate jumped 6.5% from the September 2009 quarter to 7.3% in the last 3 months of 2009, its highest level in more than 10 years. The country's unemployment rate as of June 2011 stood at approximately 6.5%. New Zealand's unemployment rate was lower than the Organization for Economic Cooperation and Development (OECD) average of 8.6% and was ranked 12th of 27 OECD countries with standardized unemployment rates. A 22% drop in the number of New Zealanders and long-term residents departing the country in 2009 produced the highest net rise in permanent and long term (PLT) migration since 2004. Overall PLT arrivals were down 4.6% again in 2010, with PLT departures, up 10% from the 2009 spike. The net PLT migration gain of 10,500 in 2010 was below the annual average gain over the last 20 years, and less than half the net migration recorded in 2009. The three main destinations for PLT outflow were to Australia (26%), the United Kingdom (6.4%), and the United States (2%). The highest net inflow of migrants in 2010 was from India (6,314, or 60%), mostly on student visas. The net outflow of NZ citizens was 20,900, up from 15,500 in 2009. The net inflow of returning NZ citizens was 31,300, the lowest since 2006. Following the largest inbound arrivals total ever recorded for any month recorded in December 2009, short-term arrivals were up another 1.7% in December 2010, a period which is usually driven by growth in the numbers visiting family and friends over the Christmas period. Overall 2010 visitor numbers were up 3% from 2009, and have increased 41% over the 10 year period from 2000. Arrivals from Australia were down 0.9% for December 2010 compared with the same month a year earlier, but were up 0.7% over the year. Despite record numbers of American visitors to New Zealand for short trips in December 2009, a decrease in cruise ship passengers saw the number of American visitors drop by 14.4% for December and 7% for 2010. Overseas visitor arrivals numbered 2.5 million in the year ended December 2010. This was a 2.7% decrease from the December 2009 year. The largest sources of visitors to New Zealand in the year ended December 2010 were Australia, the United Kingdom, the United States, China, and Japan. Traditionally, New Zealand's economy has been helped by strong economic relations with Australia. New Zealand and Australia are partners in "Closer Economic Relations" (CER), which allows for free trade in goods and most services. Since 1990, CER has created a single market of more than 22 million people, and this has provided new opportunities for New Zealand exporters. Australia is now the destination of 23% of New Zealand's exports, compared to 14% in 1983. Both sides also have agreed to consider extending CER to product standardization and taxation policy. New Zealand has had a free trade agreement with Singapore since 2001. In July 2005, both countries joined with Chile and Brunei to form a Trans-Pacific Strategic Economic Partnership (TPP), liberalizing trade in goods and services between them. On September 22, 2008, comprehensive negotiations for the U.S. to join the TPP were launched. In December 2009, President Barack Obama announced that the U.S. was interested in re-engaging on TPP. Seven rounds of talks have been completed, with the eighth round scheduled for September 2011 in the U.S., and a ninth round scheduled for October in Peru. New Zealand concluded a Closer Economic Partnership (CEP) agreement with Thailand that entered into force on July 1, 2005. In April 2008 New Zealand concluded a free trade agreement (FTA) with China. In October 2009, negotiations concluded on an FTA with the Gulf Cooperation Council (GCC — made up of Bahrain, Oman, Kuwait, Saudi Arabia, the U.A.E., and Qatar). The New Zealand/Hong Kong, China CEP was concluded in November 2009, and the agreement came into force in January 2011. 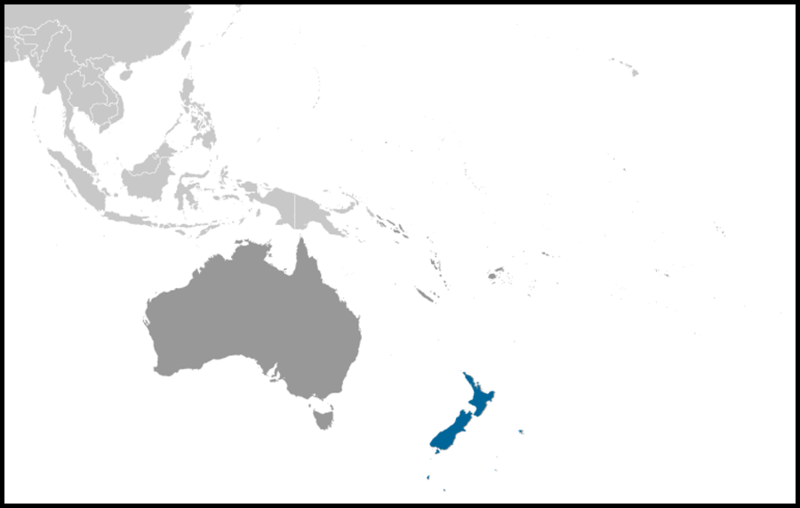 In December 2007, New Zealand and South Korea announced the beginning of a study group to explore the benefits of a bilateral free trade agreement. The first round of FTA negotiations between New Zealand and South Korea took place in Seoul in June 2009. In June 2008, New Zealand and Japan established an economic working group to review their bilateral economic relationship. New Zealand and India agreed to undertake a joint study into the implications of an FTA in 2007. That study was completed in February 2009, and in January 2010 the two governments announced that negotiations would commence between their countries. Following a visit to India by Prime Minister John Key in June 2011, both countries expressed a desire for an early conclusion to the deal. In August 2010 an FTA came into force between New Zealand and Malaysia Negotiations for an FTA between New Zealand, Russia, Belarus, and Kazakhstan commenced in February 2011, with a second round in April 2011, with an aim to have negotiations completed by the end of the year. New Zealand's top six trading partners (total trade) as of December 2010 included Australia, the People's Republic of China, the United States, Japan, the United Kingdom, and the Republic of Korea. In 2010, Australia was New Zealand's principal export market, totaling U.S. $7.57 billion, and making up 23% of New Zealand's total exports. China became New Zealand's second largest export market at 11% of total exports, up 33% from 2009 with a total of US$ 3.65 billion. The United States slipped to third place, with a 4.9% drop from 2009 totaling U.S. $2.84 billion, and making up 8.7% of New Zealand's total exports. As New Zealand's fourth-largest export destination, export trade with Japan was valued at U.S. $2.5 billion. Australia remained New Zealand's largest source of merchandise imports in the year ended December 2010, accounting for 18% of total imports. Total imports from Australia were valued at U.S. $5.8 billion. China was New Zealand's second-largest source of imports, with a value of U.S. $5.1 billion, or 16% of total imports. The United States is the third-largest trading partner for New Zealand, with U.S. goods and services accounting for 10.3% of all imports totaling NZ $4.4 billion (U.S. $3.3 billion). The New Zealand dollar reached a 24-year high of over U.S. $0.88 in August 2011 (the highest since the New Zealand dollar was floated), and has remained high for some months, which has seen added pressure on New Zealand exports. The market-led economy offers many benefits for U.S. exporters and investors. Investment opportunities exist in chemicals, food preparation, finance, tourism, and forest products, as well as in franchising. The best sales and investment prospects are for whole aircraft and aircraft parts, medical or veterinary instruments, motor vehicles, information technology, hotel and restaurant equipment, telecommunications, tourism, franchising, food processing and packaging, and medical equipment. On the agricultural side, the best prospects are for fresh fruit, snack foods, and soybean meal. New Zealand screens foreign investment that falls within certain criteria. Under the auspices of the Overseas Investment Act 2005, New Zealand's Overseas Investment Office (OIO) screens foreign investments that would result in the acquisition of 25% or more ownership of, or a controlling interest in, "significant business assets" (significant business assets are defined as assets valued at more than NZ $100 million). Government approval also is required for purchases of land larger than 5 hectares (12.35 acres) and land in certain sensitive or protected areas, or fishing quotas. If the land or fishing quota to be purchased is owned by a company or other entity, approval will be required if the investor will be acquiring a 25% or more equity or controlling interest. Following a Ministerial Directive in December 2010, future bids to purchase sensitive or protected areas will come under even greater scrutiny to ensure any investment is of economic benefit to New Zealand. Full remittance of profits and capital is permitted through normal banking channels. As of March 2009, U.S. foreign direct investment in New Zealand amounted to U.S. $2.3 billion (NZ $3.3 billion). New Zealand has three defense policy objectives — defend New Zealand against low-level threats, contribute to regional security, and play a part in global security efforts. New Zealand has considered its own national defense needs to be modest. Its defense budget generally has provided for selected upgrades in equipment. Shortly after winning the 1999 election, the Labour government canceled a lease-to-buy agreement with the U.S. for 28 F-16 aircraft. However, Labour did embark on a significant defense upgrade and acquisition plan. All three services have benefited from the upgrades/acquisitions. In 2001, the government contracted to purchase 105 LAVIIIs for U.S. $300 million, with delivery completed in 2005. The Army also purchased 321 Light Operational Vehicles to make its forces more mobile. In 2002, New Zealand announced planned upgrades of its P3 and C-130 Hercules aircraft, and purchased two Boeing 757 aircraft for U.S. $100 million. In 2006 New Zealand contracted with NH Industries to purchase eight NH-90 aircraft to start delivery in 2009 (the first is now due for delivery early 2011). In 2007 the country entered an agreement to purchase 12 A-109 light helicopters from Agosta to also start delivery in 2009 (the number has since been decreased to 6, and the first is now to be delivered in late 2010). The B-757s have received significant upgrades to include installation of a cargo door and a strengthened floor that allows various configurations of cargo/passengers. The P3s and C-130s are currently being upgraded/modified; these upgrades have encountered significant delays, severely limiting available aircraft for 2009 and 2010. In 2007, the Navy began accepting delivery of the Project Protector program, with an estimated value of U.S. $250 million, consisting of one multi-role vessel (MRV), two offshore patrol vessels (OPVs), and four inshore patrol vessels (IPVs), which concluded with the final ship delivery in May 2010. The Navy's two ANZAC frigates are receiving ship support systems upgrades (one is now complete), and the Navy is requesting additional funding for weapons systems upgrades for 2011-2012. In May 2001, the government announced it was scrapping its combat air force. New Zealand states it maintains a "credible minimum force," although critics maintain that the country's defense forces have fallen below this standard. New Zealand still maintains, in a non-operational status, the fleet of A-4 Skyhawk jets and Aermacchi jets left over from the scrapping of its combat air force. Its attempts to sell the jets have thus far failed. With a claimed area of direct strategic concern that extends from Australia to Southeast Asia to the South Pacific, New Zealand necessarily places substantial reliance on its defense relationship with other countries, in particular Australia. However, acknowledging the need to improve its defense capabilities, the government in 2005 announced the Defense Sustainability Initiative, allocating an additional NZ $4.6 billion (U.S. $3.19 billion) over 10 years to modernize the country's defense equipment and infrastructure and increase its military personnel. The funding represented a 51% increase in defense spending since the Labour government took office in 1999. However, the active duty component of the New Zealand Defense Force (NZDF) does not exceed 10,000 personnel and there have been no additional budget increases in recent years. The New Zealand Army is the largest service, with fewer than 5,000 personnel, the Air Force has approximately 2,700, and the Navy has approximately 2,300. There are approximately 2,200 territorial (reserve) forces and approximately 2,700 civilian defense employees. New Zealand participates in sharing training facilities, personnel exchanges, and joint exercises with the Philippines, Thailand, Indonesia, Papua New Guinea, Brunei, Tonga, and South Pacific states. It also participates in exercises with its Five-Power Defense Arrangement partners — Australia, the United Kingdom, Malaysia, and Singapore. Due to New Zealand's anti-nuclear policy, defense cooperation with the U.S., including training exercises, has been significantly restricted since 1986, but in recent years engagement between the two militaries has grown. The national government commissioned a defense review upon entering office in November 2008. The review was due to be completed in December 2009, with a white paper to follow in March 2010. The review has been completed; however, the government noted expenditures it wanted to ensure it could cover. Therefore, the government delayed the white paper in order to conduct a "value for money" exercise. This effort was designed to help it identify ways to cover the costs that will be presented in the white paper, since the government has clearly stated there will be no increase in the defense budget. The review and white paper are designed to look forward through 2035, and was released in November 2010. New Zealand's foreign policy is oriented chiefly toward developed democratic nations and emerging Pacific economies. The country's major political parties have generally agreed on the broad outlines of foreign policy, and the current coalition government has been active in multilateral fora on issues of recurring interest to New Zealand — trade liberalization, environment, and arms control. New Zealand values the United Nations and its participation in that organization. It also values its participation in the World Trade Organization (WTO); World Bank; International Monetary Fund (IMF); Organization for Economic Cooperation and Development (OECD); International Energy Agency; Asian Development Bank; South Pacific Forum; The Pacific Community; Colombo Plan; Asia Pacific Economic Cooperation (APEC); and the International Whaling Commission. New Zealand also is an active member of the Commonwealth. Despite the 1985 rupture in the ANZUS alliance, New Zealand has maintained good working relations with the United States and Australia on a broad array of international issues. In the past, New Zealand's geographic isolation and its agricultural economy's general prosperity tended to minimize public interest in world affairs. However, growing global trade and other international economic events have made New Zealanders increasingly aware of their country's dependence on stable overseas markets. New Zealand's economic involvement with Asia has been increasingly important through expanding trade with the growing economies of Asia. New Zealand is a "dialogue partner" with the Association of South East Asian Nations (ASEAN) and an active participant in APEC. On April 7, 2008 New Zealand signed a free trade agreement with China, the first OECD country to do so. As a charter member of the Colombo Plan, New Zealand has provided Asian countries with technical assistance and capital. It also contributes through the Asian Development Bank and through UN programs and is a member of the UN Economic and Social Council for Asia and the Pacific. New Zealand has focused its bilateral economic assistance resources on projects in the South Pacific island states, especially on Bougainville. The country's long association with Samoa (formerly known as Western Samoa), reflected in a treaty of friendship signed in 1962, and its close association with Tonga have resulted in a flow of immigrants and visitors under work permit schemes from both countries. New Zealand administers the Tokelau Islands and provides foreign policy and economic support when requested for the freely associated self-governing states of the Cook Islands and Niue. Inhabitants of these areas hold New Zealand citizenship. In 1947, New Zealand joined Australia, France, the United Kingdom, and the United States to form the South Pacific Commission, a regional body to promote the welfare of the Pacific region. New Zealand has been a leader in the organization. In 1971, New Zealand joined the other independent and self-governing states of the South Pacific to establish the South Pacific Forum (now known as the Pacific Islands Forum), which meets annually at the "heads of government" level. Bilateral relations are the best they have been in decades. The United States and New Zealand share common elements of history and culture and a commitment to democratic principles. Senior-level officials regularly consult with each other on issues of mutual importance. One of the landmarks in the improving relationship was Secretary Hillary Clinton's November 2010 visit to New Zealand when she signed the "Wellington Declaration" with New Zealand Foreign Minister Murray McCully. The Declaration is a bold statement reaffirming close ties between the two countries and outlining future practical cooperation in a number of specific areas. The United States established consular representation in New Zealand in 1839 to represent and protect American shipping and whaling interests. Since the U.K. was responsible for New Zealand's foreign affairs, direct U.S.-New Zealand diplomatic ties were not established until 1942, when the Japanese threat encouraged close U.S.-New Zealand cooperation in the Pacific campaign. During the war, more than 400,000 American military personnel were stationed in New Zealand to prepare for crucial battles such as Tarawa and Guadalcanal. New Zealand's relationship with the United States in the post-World War II period was closely associated with the Australia- New Zealand-United States (ANZUS) security treaty of 1951, under which signatories agreed to consult in case of an attack in the Pacific and to "act to meet the common danger." During the postwar period, access to New Zealand ports by U.S. vessels contributed to the flexibility and effectiveness of U.S. naval forces in the Pacific. Growing concern about nuclear testing in the South Pacific and arms control issues contributed to the 1984 election of a Labour government committed to barring nuclear-armed and nuclear-powered warships from New Zealand ports. The government's nuclear-free policy proved incompatible with long-standing, worldwide U.S. policy of neither confirming nor denying the presence or absence of nuclear weapons onboard U.S. vessels. Implementation of New Zealand's policy effectively prevented practical alliance cooperation under ANZUS, and after extensive efforts to resolve the issue proved unsuccessful, in August 1986 the United States suspended its ANZUS security obligations to New Zealand. Even after President George H.W. Bush's 1991 announcement that U.S. surface ships do not normally carry nuclear weapons, New Zealand's legislation prohibiting visits of nuclear-powered ships continues to preclude a bilateral security alliance with the U.S. The legislation enjoys broad public and political support in New Zealand. The United States would welcome New Zealand's reassessment of its legislation to permit that country's return to full ANZUS cooperation. Despite suspension of U.S. security obligations, the New Zealand Government has reaffirmed the importance it attaches to continued close political, economic, and social ties with the United States and Australia. New Zealand actively engages in peacekeeping and international security efforts around the world. It has deployed both SAS and regular armed forces personnel to Afghanistan, together with naval and air assets to the Persian Gulf. New Zealand has worked closely with the U.S. to promote free trade in the WTO, the Asia-Pacific Economic Cooperation (APEC) group, and other multilateral fora. It is also actively working to conclude a trade agreement with the United States through the Trans-Pacific Partnership. The U.S. and New Zealand work together closely on scientific research in the Antarctic. Christchurch is the staging area for joint logistical support operations serving U.S. permanent bases at McMurdo Station and South Pole, and New Zealand's Scott base, (located just three kilometers from McMurdo Station in the Ross Sea region). The U.S. Embassy in New Zealand is located at 29 Fitzherbert Terrace, Thorndon, Wellington (tel. 64-4-462-6000, fax 64-4-499-0490). The U.S. Consulate General in New Zealand is located on the 3rd Floor, Citibank Building, 23 Customs Street East, Auckland (tel. 64-9-303-2724, fax 64-9-366-0870). The website for the Embassy and Consulate General is (http://newzealand.usembassy.gov/).